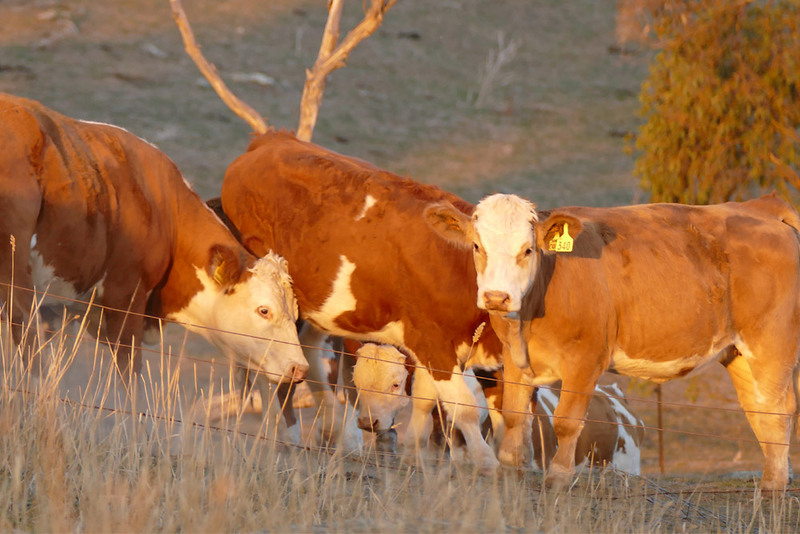 Wirrabilla has 150 stud cows and 400 Angus and Angus/Fleckvieh commercial cows running across two properties in the Southern Tablelands of NSW – one at Taralga (822 ha), the second at Gunning (361 ha). We have two calvings – approximately 400 calving in Spring and around 150 in Autumn. All our heifers are joined for 6 weeks, all cows for 7 weeks. Our calves are weaned, generally at 9 months of age. The cattle are run entirely on improved pastures, with both commercial steers and bulls finished on crop (oats) during the winter months. We don’t use hormones, growth promotants or antibiotics in our grass fed weaner and steer production system. The cross with the Angus is working very well for us. Using a Fleckvieh bull across Angus females gives a first cross heifer with more muscle and more milk, and steers with a lot of growth. 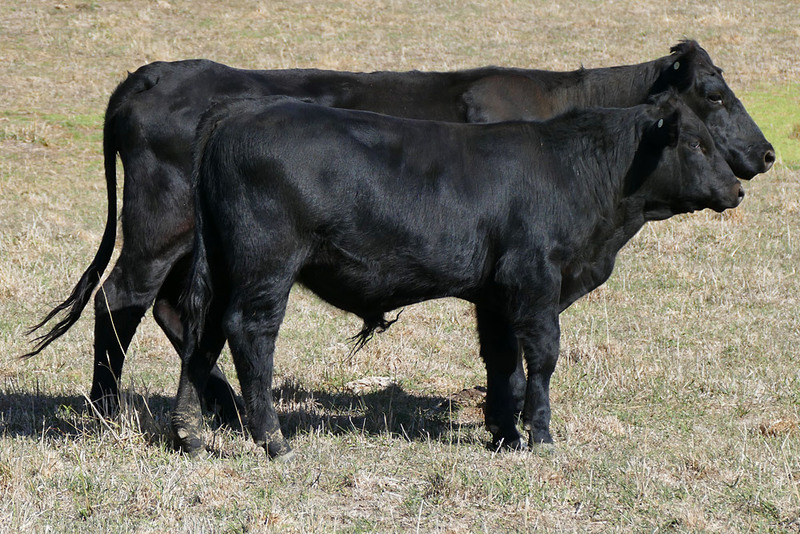 Our F1 females go on to raise calves with tremendous growth rates. Our experience is supported by an independent performance study which trailed 2500 weaners and found Simmental/Angus weaners (Fleckvieh are related to Simmentals) had the highest 400 day weights relative to other crosses and relative to pure bred cattle. 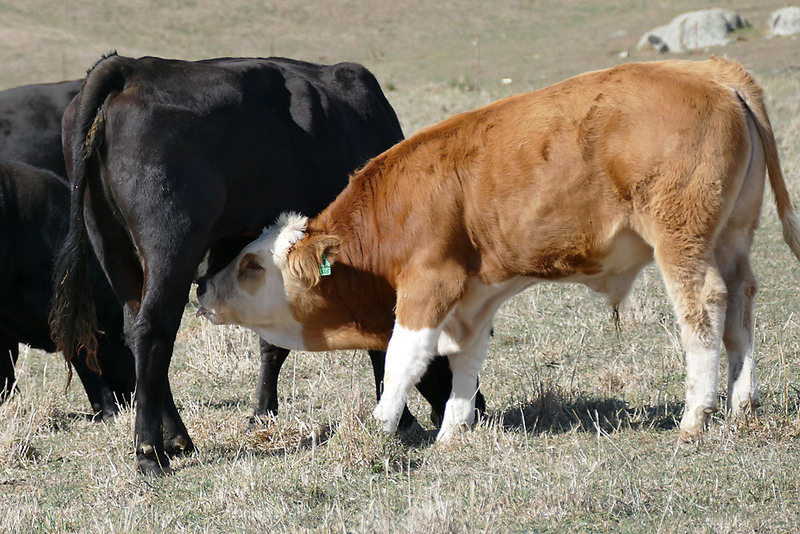 The traits we look for in our cattle are fertility, structural soundness, good temperament, medium frame, calving ease, high growth rates with above average carcase yield, and top milk production. Buyer demand also has us concentrating on selecting for solid red colour, eye pigment and a polled line. 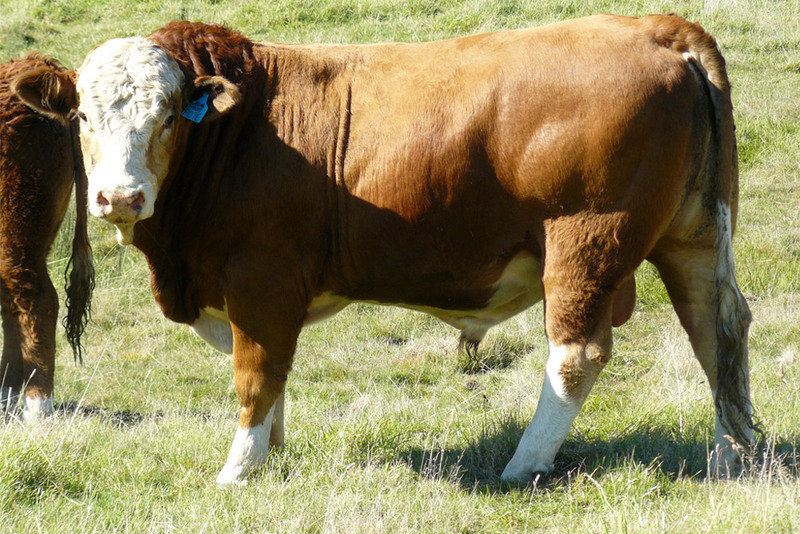 Our current Fleckvieh stud genetics are progeny from bulls such as Storno, Randy, Balist, Salerika Evan, Kykso Haped, Dan Jaco Benz 78, Excalibur and Star Profeet. We also have a polled line descending from the fully imported heifer Red Pepper, including a potentially homozygous female who has produced 5 polled calves, all by horned bulls.